Having insurance for your pet is essential. Many homeowners have the idea that taking dog insurance is only necessary if you have a dog classified as dangerous. Having insurance for your dog brings many advantages , because it not only covers what you think that can happen, but also the unforeseen. 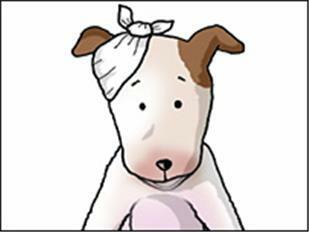 – Suppose your dog escapes one day , into the road, not only hurting himself but causing an accident with injuries to others, to say nothing of the value of the car involved. Do you think it can not happen? An accident of this nature can be the downfall of the owner, possibly costing thousands or even worse. – How about your dog gets into the house of a neighbour and has fun killing their chickens, rabbits and other pet animals. This often occurs with dogs living in rural areas. And sheep? Truly a nightmare before you even count the cost. – Is your dog used to jumping to greet people? What happens if, for example, they jump at an older person and knock them to the ground causing broken bones, muscle injuries or cuts? – And your dog will have health complications at some point, and have to have surgery, whether it be accident, old age or ill health. – What if your dog is lost or stolen, and you are suddenly having to pay a large sum of money to advertise with posters, radio spots or simply a reward till he/she has been found. There are so things that can happen, I send a plea to all owners to bear in mind the importance of having insurance for your dog, its better to be covered by insurance which can cope with any unexpected , regrettable consequences of the emotional and economic type .